An appreciation of a currency means that it becomes worth more relative to other currencies. It means there has been a rise in the exchange rate. For example an appreciation in the Dollar compared to the Euro. Therefore in this period, the Euro appreciated in value against the dollar. 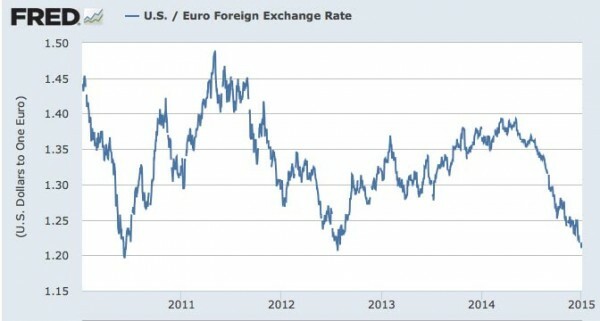 This compares to 2014 – where the Euro fell in value against the dollar.